Disaster Response & Relief Efforts (March 2019) - Perelandra Ltd. The people of Mozambique, Malawi and Zimbabwe are facing challenges many of us can't really comprehend. Rescue and aid organizations are pushing resources past their limits to provide assistance. At Perelandra we Celebrate the Power of the Individual. There is power in every action, power in every donation. There are many worthy, important causes in need of support. We want to remind you there is power in your contribution — whether it's $5 or $50. Whether you live in the area hit by a disaster and are dealing with the aftermath, or you've traveled there to help with recovery: Take ETS for Humans 3 to 5 times daily. An adult dose is a dropperful. Children 10 years old and younger get 6 drops per dose. 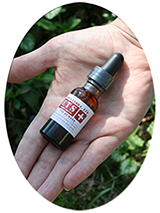 For animal victims and rescue dogs: Give them one dose (10-12 drops) of ETS for Animals once daily. If you need to replace your Perelandra materials that were lost or damaged, or need us to ship something quickly to a different address, please send an call our order line (1-800-960-8806 or 1-540-937-2153). We'll work with you to help you get whatever you need from Perelandra as quickly as possible. This service enables us to provide ETS for Humans to anyone who needs it but may not be able to afford it right now. If you're in an environmental, health, family or economic crisis and feel stuck at the idea of putting out money for ETS, just ask us for a bottle of Crisis ETS, or add it to your online order. While it's likely that those directly affected are not reading this message — you may know them. Or you may know those who are working in aid, rescue and recovery efforts. If you would like to keep them supplied with the essentials during times like these (such as ETS), we would like to remind you of the Perelandra Responds discount available to those directly affected by the disaster, as well as to emergency personnel working in affected areas. It's 25% off the Perelandra Solutions and Essences.